Set of 4 Pink Pirate themed Wax Crayons in red, yellow, green and blue each paper wrapped, in printed box . 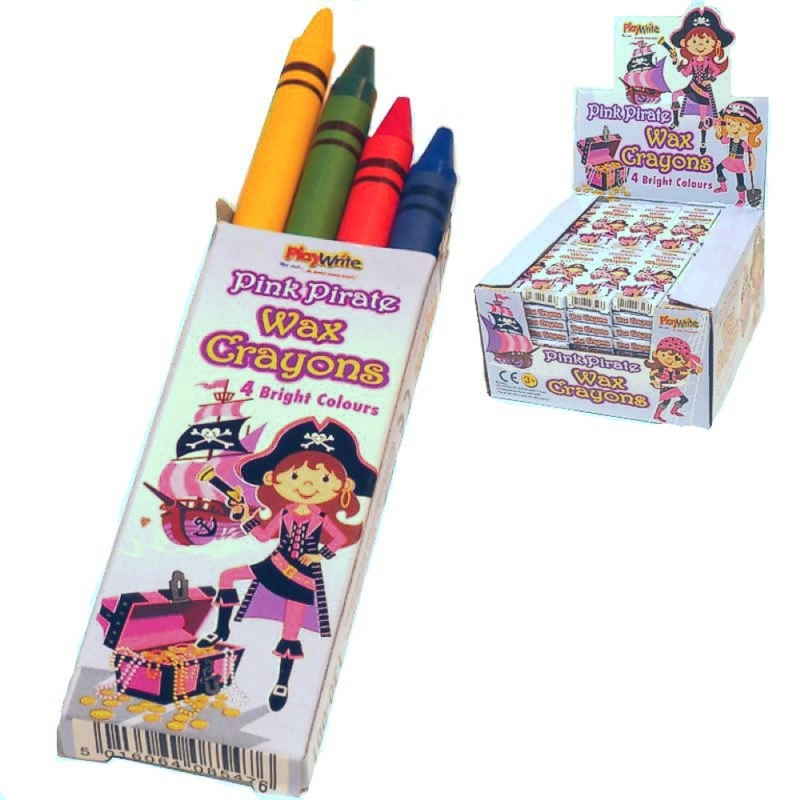 Packed 100 sets in our Pinky Pirate display box. An ideal Party Bag Filler !